The parliament concluded that Turkey has abandoned the fundamental principles of democracy. The same day, Turkish police detained a group of human rights activists, including Amnesty International’s Turkey director. 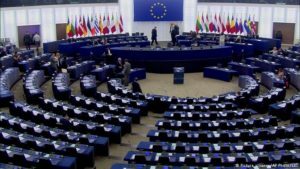 The European Parliament in Strasbourg on Thursday voted for the suspension of membership talks with Turkey . The vote on the proposal passed by a wide margin, with support from the biggest party groups. Proponents of the measure say Erdogan’s crackdown on opposition forces and the media mean Ankara cannot meet the bloc’s democratic criteria. However, the parliament has little sway on the issue. The European Commission and EU member state governments have so far ignored calls for the process, already effectively in limbo, to be formally suspended. 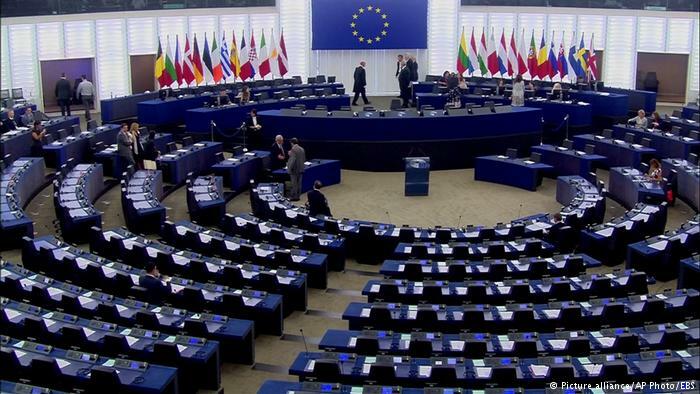 Anticipating the vote, Turkey’s EU affairs minister warned it would be a “terrible mistake,” adding that European lawmakers should show solidarity with Turkey after last year’s failed coup attempt. Turkish foreign ministry spokesman Huseyin Muftugolu separately said the decision was based on false claims and allegations. 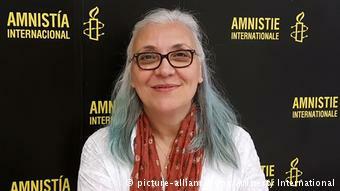 Amnesty’s Turkey Director Idil Eser and others were taken to a police station on Wednesday evening after they gathered at a hotel on the island of Buyukada, just south of Istanbul. Amnesty’s Turkey researcher Andrew Gardner said 11 people were arrested in a police raid on a seminar at a hotel in Istanbul. Those arrested included eight human rights activists, two instructors, from Germany and Sweden respectively, and the hotel owner. He said the hotel owner has since been released. It was unclear why they were being held, with police saying they would make an announcement later on Thursday. The detentions follow thejailing of the chairman of Amnesty’s branch in Turkey, Taner Kilic, on charges that he was a member of a terrorist organization. Amnesty demanded the group’s release, saying it was “profoundly disturbed and outraged” at the detentions, as the group met on the island to discuss strategies for digital security and information management. “Idil Eser and those detained with her, must be immediately and unconditionally released,” said Amnesty’s International’s Secretary General, Salil Shetty. Amnesty urged world leaders meeting at the G20 summit in Hamburg to address Turkey’s human rights “meltdown” with President Recep Tayyip Erdogan.Among those detained with Eser were seven human rights activists and two foreign trainers – one German and one Swedish.